Some of Mitchell Cantrell’s Signature looks. One of the benefits of taking Mitchell's 1 on 1 session is that you are automatically added to his On-Set Roster. This is how hairstylist Jenn Langley was chosen to work onset & get credited in a 10 page editorial spread in an internationally published print magazine which she eventually picked up at a local Barnes and Noble. "Invest in me and I will invest in you." 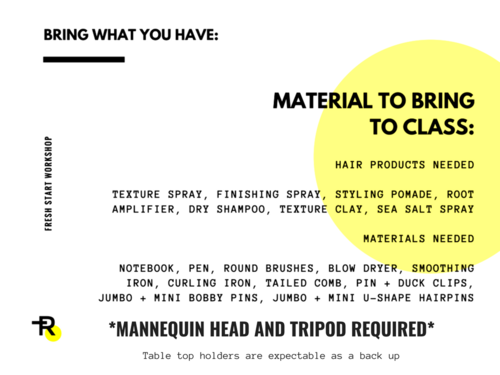 If you are looking for a few impactful tips, looking to get some of your hairstyling questions answered, and learn an upstyle that you can have in your back pocket then you should attend one of our group sessions of the Fresh Start Workshop. If you are looking to once and for all learn how to do a variety of upstyles, take your Downstyling + blowdrying abilities to the next level while gaining a deeper understanding of creating custom tailored looks on your clients based off their head & face shape then this is an investment that will make a guaranteed impact on your career as a hairstylist. As a bonus Mitchell will also help you get closer to developing your own individual style. 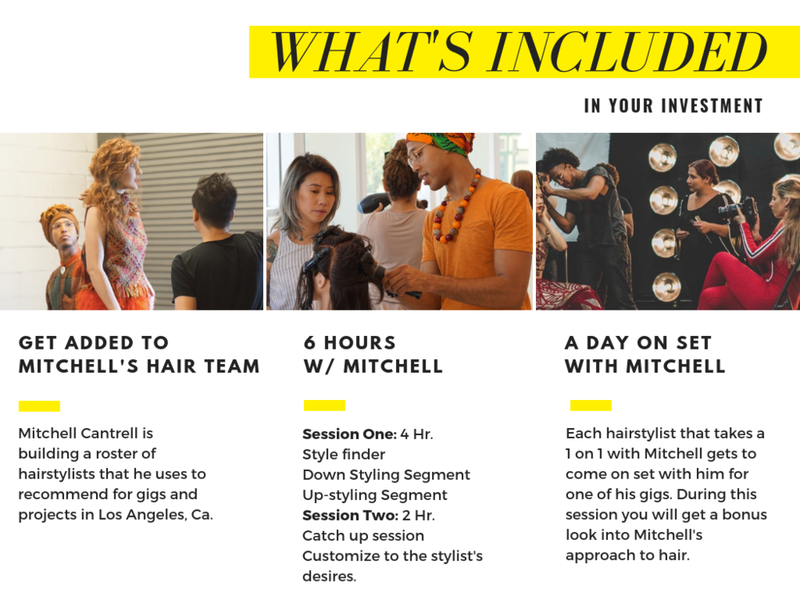 In addition you will be added to Mitchell Cantrell's Los Angeles Hairstylist roster which he uses to refer hairstylists for hair gigs such as commericial advertisement, fashion editorials & campaigns, music videos and much more.